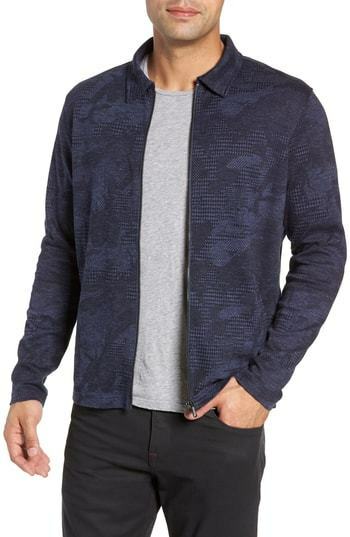 A Robert Graham navy shirt jacket and black skinny jeans are must-have menswear items to have in the casual part of your wardrobe. Got bored with this getup? Introduce a pair of black leather casual boots to jazz things up. 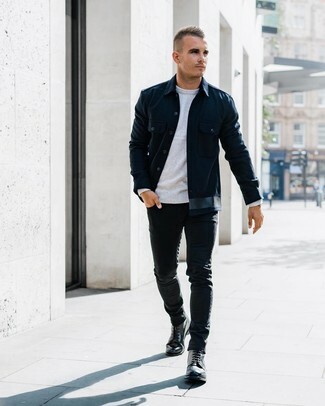 This casual combo of a navy shirt jacket and black jeans is super easy to throw together without a second thought, helping you look stylish and prepared for anything without spending a ton of time going through your closet. 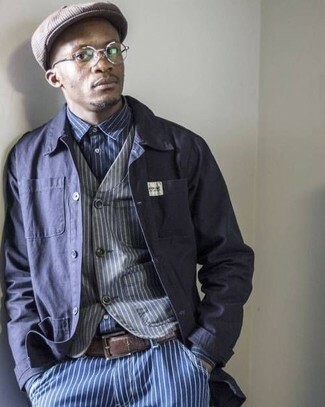 To give your outfit a more sophisticated touch, complement this look with a pair of dark brown leather derby shoes. 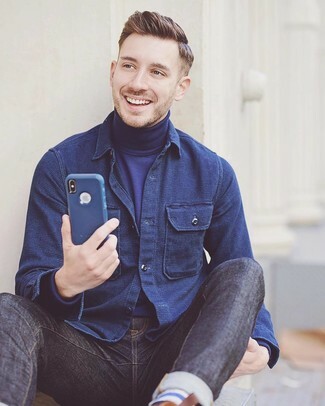 This casual combination of a Robert Graham Stockdale Classic Fit Shirt Jacket and navy jeans is extremely easy to put together without a second thought, helping you look amazing and prepared for anything without spending too much time rummaging through your wardrobe. 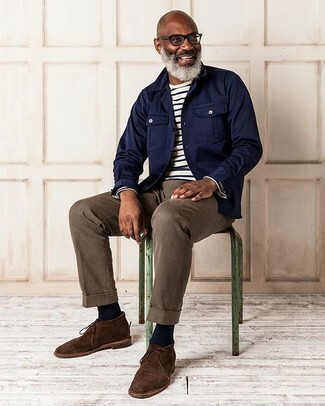 If you're scouting for a casual yet seriously stylish outfit, try teaming a Robert Graham stockdale classic fit shirt jacket from Nordstrom with navy jeans. Both pieces are totally comfortable and will look great together. White leather low top sneakers will add more playfulness to your outfit. For a casually elegant outfit, team a Robert Graham stockdale classic fit shirt jacket with brown chinos — these pieces fit beautifully together. 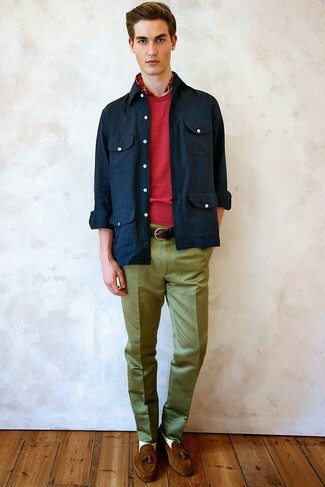 When it comes to shoes, this outfit is round off wonderfully with dark brown suede desert boots. 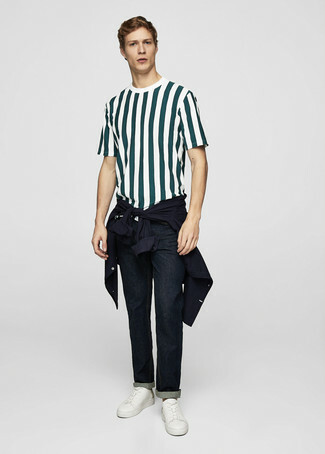 If you're on a mission for a casual yet dapper ensemble, choose a navy shirt jacket and blue vertical striped jeans. Both items are totally comfortable and will look great paired together. Reach for a Robert Graham navy shirt jacket and blue skinny jeans for a laid-back getup with a modern spin. 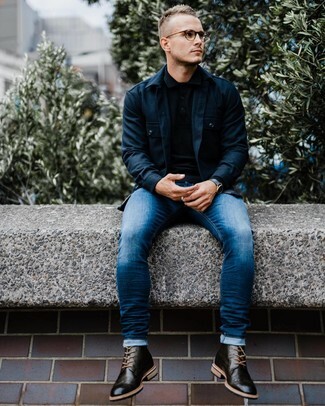 Dial down the casualness of your ensemble by wearing black leather brogue boots. A Robert Graham Stockdale Classic Fit Shirt Jacket and olive dress pants are surely worth being on your list of closet staples. If you're hesitant about how to round off, add a pair of brown suede tassel loafers to the mix.